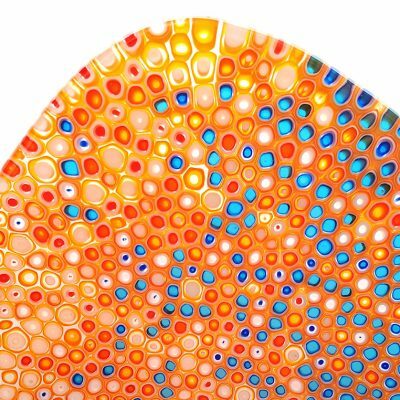 Each of Joseph Enszo’s glass pieces is an entrancing interplay of color and pattern dancing across a simple, elegant form—the embodiment of his creative vision and meticulous craftsmanship. Another way to look at his work? The result of ingenious technical innovation and an example of sustainability in artmaking. Joseph Enszo approaches glassmaking with the inquisitive mind of a scientist. “Applying rigorous experimentation in the vein of the scientific process leads to new discoveries,” he explains. He continuously seeks to improve every aspect of his process, leading to innovations that not only make his workflow more efficient, but also reduce his impact on the environment. You could say that his artwork is a marriage of art and science, imagination and engineering. In addition to scientific imagery, Enszo’s aesthetic is a unique intersection of Italian decorativeness and Eastern simplicity. 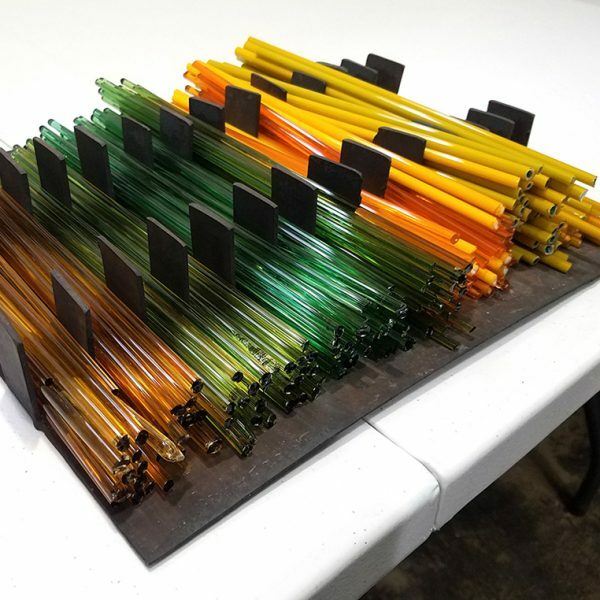 Each piece is created from murrini—tiny slices of patterned glass, each one a cross-section of layered rods called cane. 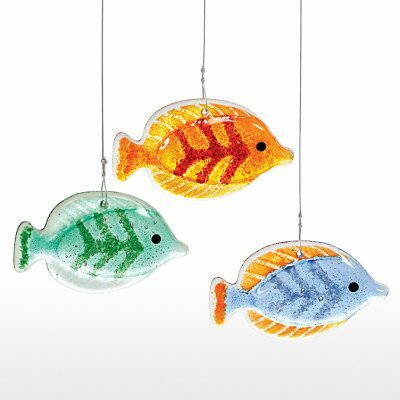 Traditions of Italian glassblowing, cane and murrini have been used by glass artists for hundreds of years to create intricate, colorful patterns. Left: Rods of handcrafted glass cane ready to be cut into murrini. 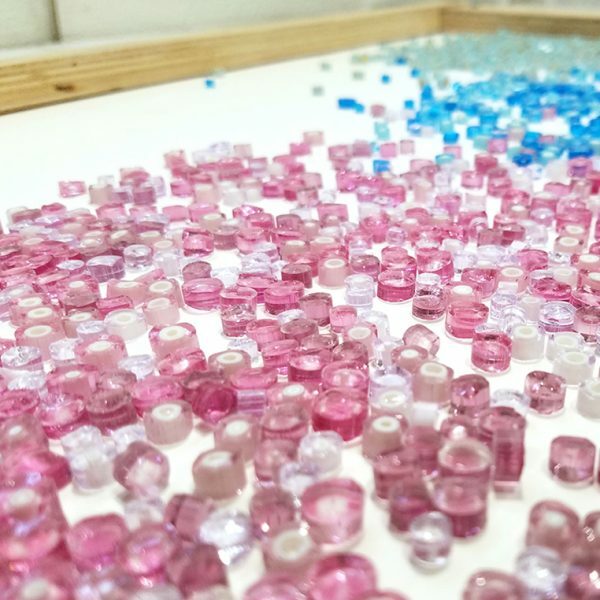 Right: Pink and blue murrini will be used to create intricate patterns in Enszo’s bowl and platters. Enszo incorporates complex murrini designs into simple, elegant forms inspired by the minimalist shapes he was drawn to while living for a decade in China and Japan. Left: Sitting next to several finished bowls, an arrangement of murrini awaits its turn in the kiln. Right: A close-up view of a completed Nido 23 Summer Orange and Azure Bowl. 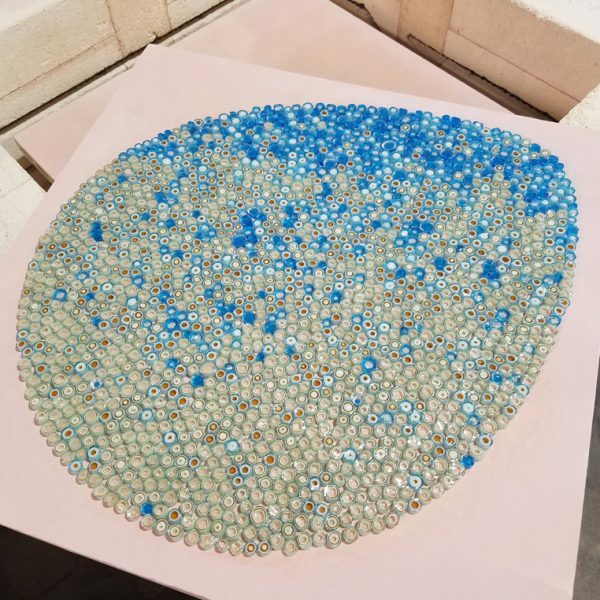 Left: Meticulously arranged murrini is placed into the kiln to be fired. Right: Enszo has a variety of kilns in his studio for different purposes. 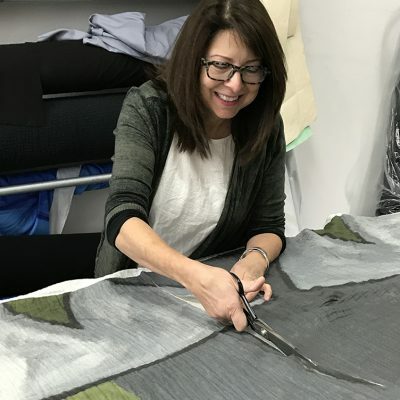 Though this technical quality may be daunting to some, it seems to be perfect for Enszo, who comes from a family of engineers and embraces the process of “systematic observation, measurement, and experimentation” required to bring his vision to life. 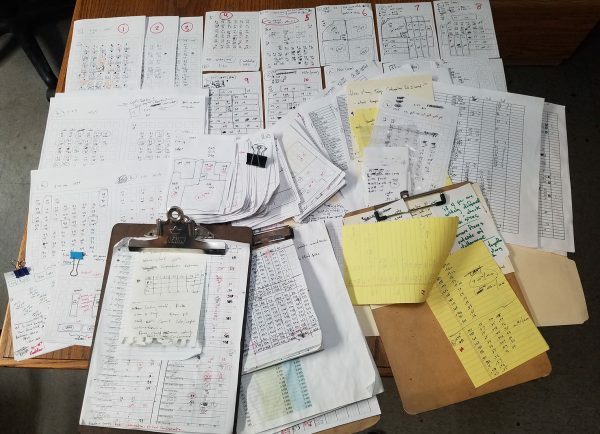 Sometimes, this is far from glamorous—as this desk covered with several months of experiment records attests to! 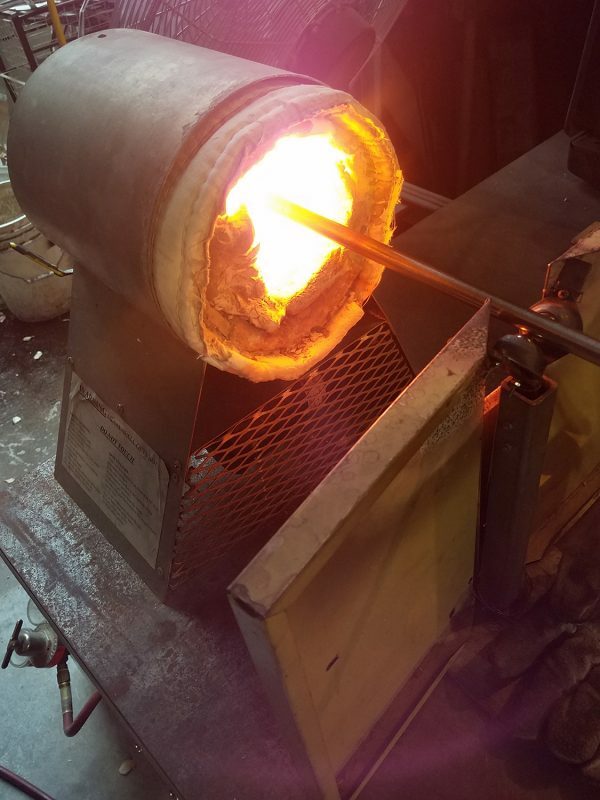 Enszo keeps detailed records of his experiments to better understand the combined effects of viscosity, glass thickness, kiln temperature, and other variables. Enszo’s process includes many steps and involves plenty of preparation along the way. Part of this preparation? Creating art in a way that is as sustainable as possible. Glassmaking is extremely labor, energy, and resource intensive, requiring lots of energy to heat the kilns and furnaces or power coldworking equipment. 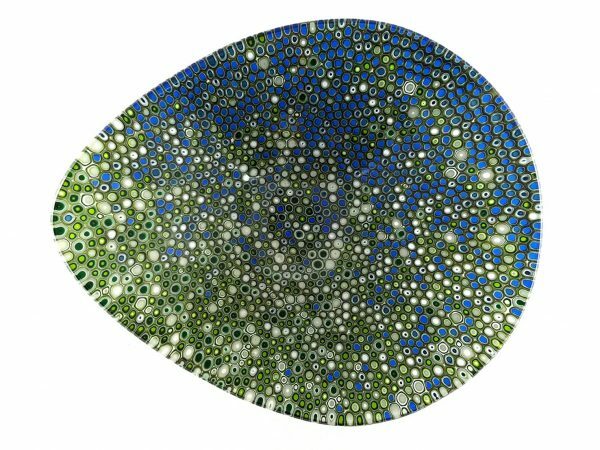 Enszo is dedicated to reducing the environmental impact of this art form, and through his scientific approach, he has completely re-engineered the traditional processes of glassmaking. His improved processes are faster, more energy efficient, and more environmentally friendly. 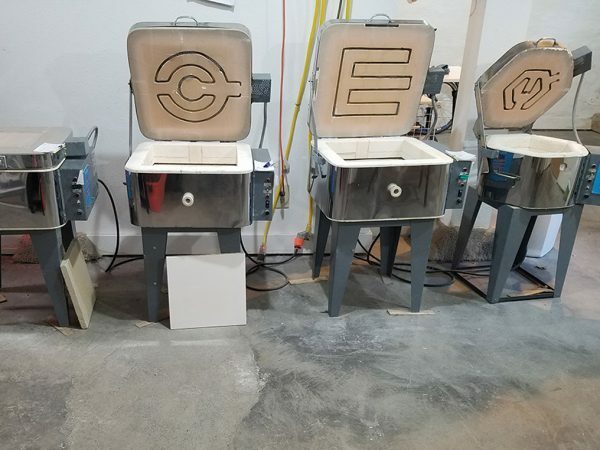 Amazingly, Enszo has developed new processes and proprietary equipment that allow him to save over 90% of the energy that most glass studios would need. And the energy he does use comes from 100% renewable resources. How does he do this? Some of the most notable changes are to his kilns, furnaces, and tools. He uses the smallest kiln or furnace needed for the job at hand, and retrofits all of them with improved insulation to reduce energy use. 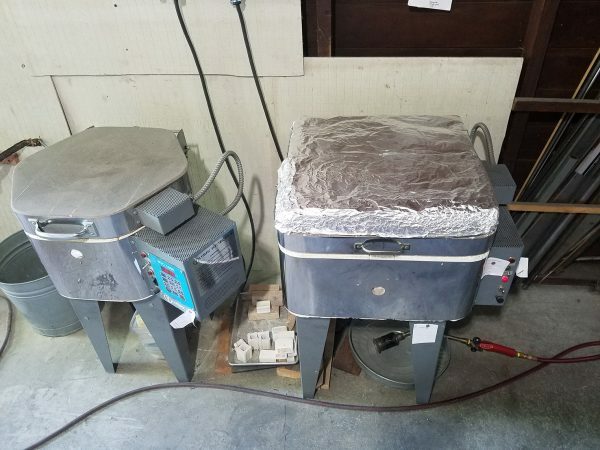 Enszo experiments with insulation materials for his kilns, including aluminum foil. He also makes every attempt to reduce the amount of time any given kiln, furnace, or torch needs to be on. 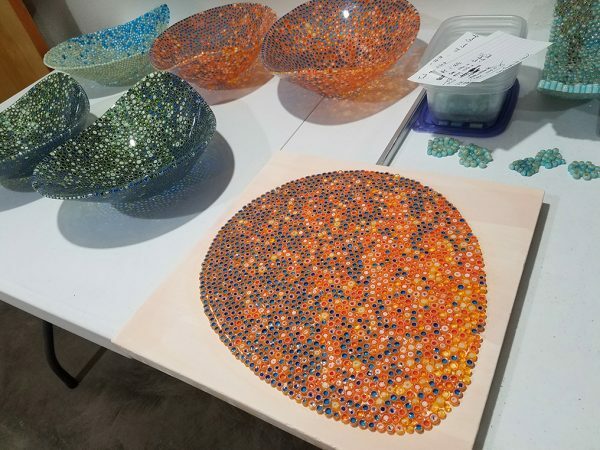 By contrast, he explains, most glassblowing studios tend to leave furnaces, kilns, and ovens on at high temperatures for extended periods of time—and use the same over-sized equipment whether they are making large or small works. By using a small furnace and reducing the amount of time it needs to stay on, Enzso is able to conserve energy. Through research and a healthy dose of trial and error, he has made many other improvements, too. “Everything adds up,” he states. For example, he has been able to cut down the amount of time needed to create a particular style of cane from thirty-five minutes to five minutes—not only saving time, but also conserving a significant amount of energy and greatly reducing carbon emissions. 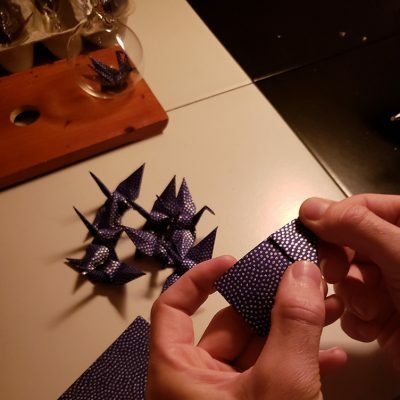 Other improvements include custom-designed cutting machines for making murrini—he is currently on his sixth version, which makes this part of the process much safer, faster, and less wasteful. 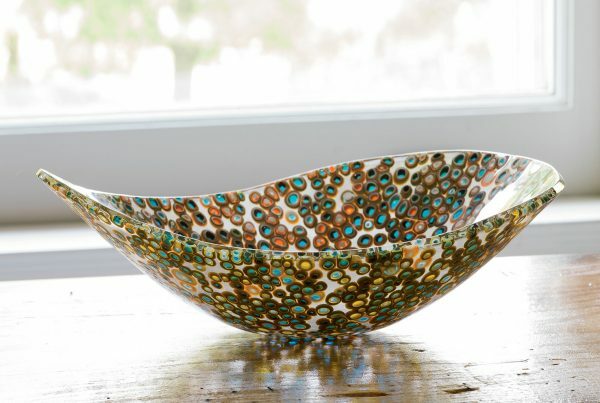 Additionally, he tries to reduce waste glass, and finds ways to reuse and recycle that which he does create. He reuses or recycles all packaging materials. And lastly, over 95% of his materials are sourced locally. By combining inspired artistry and meticulous craftsmanship with a scientific approach and a commitment to sustainability, Joseph Enszo creates beautiful work that is truly noteworthy—a marriage of art and science infused with innovation and creativity. 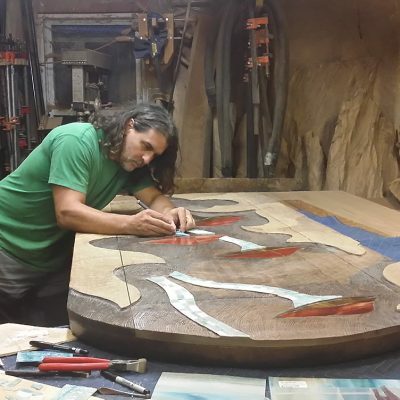 Explore all of Enszo’s work at Artful Home.